I wanted this to be a recipe but realized I don’t have any quantities, so this is more a description of a recipe, or a memory. My mother made the best cornbread dressing ever. She did not believe in stuffing a turkey or chicken, feeling that the stuffing took much longer to cook and that it was unlikely to get done and be safe to eat. 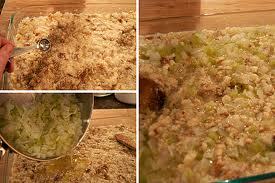 I know a lot of people are fond of stuffing, but not my family! So the way we always had it was baked separately in a pan, after the turkey was done and was resting. All this was mixed up in a huge bowl. Then she spread it on a baking sheet with sides or another roasting pan, and baked it in the oven, I think at 350 degrees, until browned. Mother also made gravy to pour over it, from the pan drippings, the giblets and neck (which she sauteed and chopped), more onion, celery, butter, salt and pepper. I was always pleased when we had chicken and dressing, and the dressing was my favorite part of Thanksgiving. We always ate it until we felt sick the next day, because Mother insisted on throwing out the leftover dressing after Friday. She thought it wasn’t safe to keep because of the eggs. So I’m remembering my mother, and wishing everyone a Happy Thanksgiving! I’m grateful for my family, my friends, my cat and all my other blessings. All Americans are not cowboys, but sometimes we think we are. This story comes from the summer when a group of us rented a villa outside Panzano, Italy for a week. The villa was on a working farm. The owners lived in the other wing of the house and grew grapes and olives. They had two little girls and an extremely friendly dog who loved to visit at mealtimes. They also kept a couple of horses, Oskar and Luna, for riding. 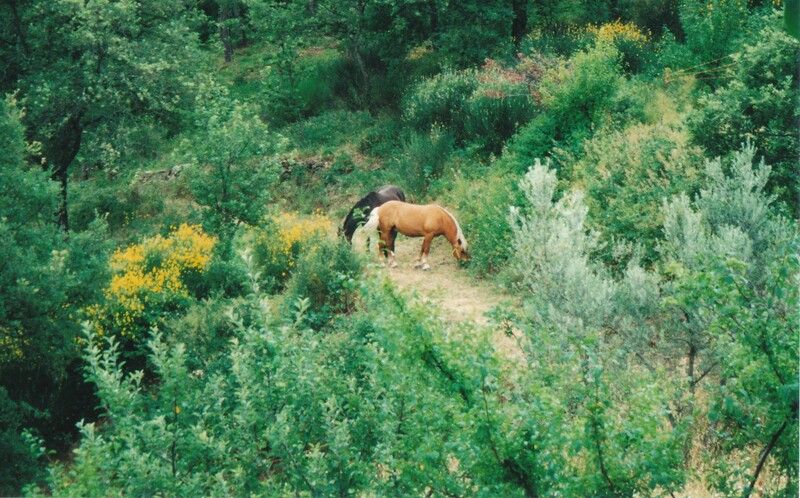 Our group enjoyed looking at the rolling hills and watching the horses graze while we sat on the terrace sipping wine. One day half the group went to San Gimignano. The rest of us decided to have a lazy day at the villa’s pool. Sally had broken a bone in her foot six weeks before we left for Italy. She had walked through Rome, Florence and Siena in an orthotic boot, so she thought a day at the pool would be a nice break. Sally, Scott, Nancy and I were sitting on the terrace reading and relaxing when we heard a clopping sound. Oskar and Luna were standing in the yard looking at us, and the fence was down. Sally jumped up and caught both horses by their halters, while I tried to find some rope so we could tie them up. There was no rope to be found, so Scott closed the farm’s electric gate to keep them from straying onto the road. The owners were away in Florence for the day, so Nancy called them on their mobile phone and reported the problem. Oskar and Luna were patient with us, but they didn’t stand still, and they had big, heavy hooves. One of them shifted his weight and stepped on Sally’s broken foot! She yelled and let him go. The horses drifted to the front yard, and Sally put an ice pack on her foot. The horses had broken their water pipe and were thirsty. So our cowboy fixed the pipe, repaired the fence, put the horses back in their field, and buzzed off on his motorbike. Fortunately Sally’s foot was only bruised, not broken again. She elevated it and daydreamed about the cowboy. Day of the Dead, or Dia de los Muertos, is celebrated in Mexico after Halloween to honor the spirits of their ancestors. Family members and friends gather to pray for and remember family and friends who have died. Families prepare special breads, cakes and candies to honor the day, the familiar skulls and skeleton shapes you may have seen. They also cook favorite foods of their loved ones and have a feast in honor of them. This season made me try to remember the favorite foods and meals of the family members I have lost. Some are easy to remember. 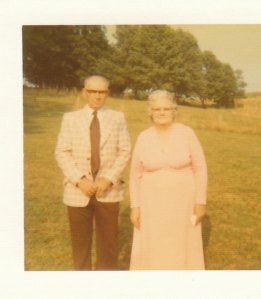 Aunt Eunice, one of Daddy’s sisters, loved the creamed corn that Mother would cook in the summer. Fresh corn just picked from the garden, creamed and cooked with a little bacon grease in an iron skillet just until it stuck a bit–what’s not to love? Sometimes Aunt Eunice loved it too much and would actually get sick from eating so much. Daddy had a lot of different dishes that he loved. For some reason, today I remembered how he liked buttermilk and cornbread. He would crumble cornbread fresh from the oven into a large glass, then pour buttermilk over it and eat it with a spoon, drinking the last few bites like a corn mush. He was also fond of fried chicken with mashed potatoes and brown gravy, as well as slices of country ham fried in the skillet and served with biscuits and red-eye gravy. Mother loved anything she didn’t have to cook, since she spent much of her time growing vegetables, canning, freezing, making preserves and pickles, and cooking our meals. Don’t let anyone tell you this homemade stuff was fun to do–it was hard, tedious labor. The fruits of her labor were delicious, but it was hard work. So she adored eating out, especially going to the Pic-a-Rib for pit (pork) barbecue after church on Sunday. She also liked being invited to other people’s houses for dinner. It was a big treat when Aunt Eunice would do a fish fry and have us over, or when Aunt Mattie Lou (one of Mother’s sisters) would invite us and make her fabulous biscuits. They were kind of a thorn in Mother’s side, however, because she could never get her biscuits as light. Uncle Preston (one of Daddy’s brothers) had a special treat he adored. Back in the day, fresh seafood was nonexistent in our area. Whenever anyone went to Florida or anywhere on the Gulf Coast, he would ask them to bring back a bucket of oysters in salt water. With luck, most of the oysters would survive the trip. Aunt Mary Emma would dip them in cornmeal and deep fry them. You’ll notice most of this was fried and pretty high in salt and fat. In recent years this has come to be known as the Southern stroke diet, it is so highly correlated with strokes and heart disease. At least at our house the ingredients were mostly unprocessed and fresh, although a lot of salt went into preserving that country ham. Aunt Geneva’s coconut pie (a custard one, not cream), Mother’s chess pie, my grandfather’s favorite country ham, boiled in a lard stand in the back yard–and always biscuits and cornbread, it all brings home back to me. So on this chilly fall night I think of the ones who are gone, I miss them, and I remember what they loved.